Every week children can participate in an Active Challenge. Previous challenges have been 'How many goals can you score in a minute?' 'How quickly can you complete the trim trail?' the child who achieves the best score/time will win a medal for that week. At the end of the school year we have a 'Winner for a Reason' cup champion. 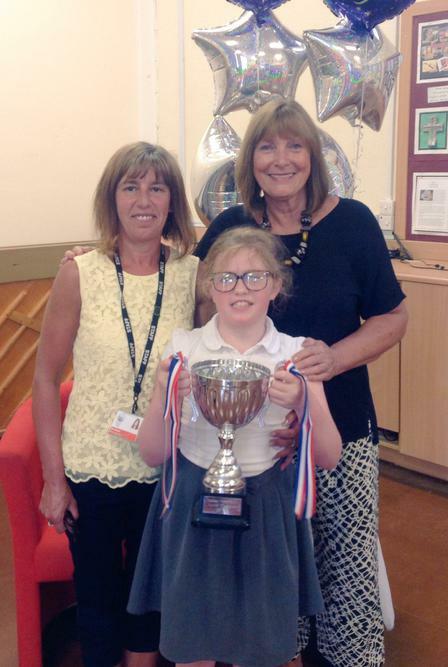 We are so proud of this years winner who received the cup for participating in every challenge even though many were quite testing for her, showing Redscope resilience and never giving up. Well done, we are so proud of you.